Orientation: CGL Charity Webcast & Fundraising Event This Saturday (8/25)! 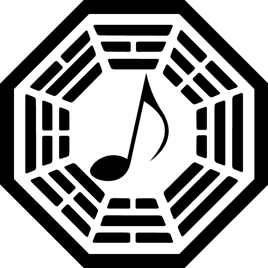 Tune in this Saturday from noon-4pm PST as we host a live webcast with LOST alum (both cast and creative team)! Although the webcast will be streaming live online for everyone around the world to watch, the event itself is closed to the public. During the webcast, we will be reminiscing and catching up with LOST actors and editors/producers/writers, as well as debuting a series of original videos. We will also be promoting items in our charity auction, as well as reminding viewers that they can make donations directly to the National Brain Tumor Society through specific links (which will be released tomorrow) that will count toward our overall fundraising efforts! As you know, 100% of the proceeds raised during the auction, webcast and fundraising event will benefit the NBTS. Stay tuned for details about the limited edition items we will be giving out in exchange for charitable contributions to the NBTS! 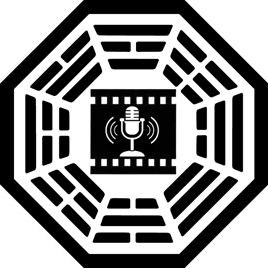 * You don’t need to be a LOST fan to enjoy the broadcast; the guests will be talking about their new films and television shows, and it is very likely that a variety of pop culture topics will be discussed! More special guests are pending (due to their filming schedules), and once they are confirmed – we will update the list here! On Saturday at Monk Space in Los Angeles from 7pm-11pm PST, we are hosting an official Cancer Gets LOST fundraising event for the NBTS! We will be featuring LOST trivia, giveaways and more, and items from our charity auction will be on display. You don’t have to actually be a LOST fan to attend; the event is open to everyone, and will be a fantastic social gathering of fellow pop culture nerds – all for a great cause! No advance tickets are necessary, and admission at the door will be $20 ($10 for guests under 21). 100% of all money collected will be donated to the National Brain Tumor Society! We will have separate wristbands for guests over and under 21, so please bring your ID. You may want to bring extra cash, as we have many LOST and other TV related goodies to give away via $2 raffle tickets (proceeds benefit the NBTS), there will be 2 limited edition posters for sale (also to benefit the NBTS), and there will be a food truck outside of the venue (Philly Please)! Due to space limitations and fire codes that we must observe at the venue, only 200 guests will be allowed inside at any time. Please keep this in mind when planning your travel and evening! There is ample street parking along Western Avenue, and you will see a Cancer Gets LOST banner hanging on the outside of Monk Space. Please read street signs carefully, as the venue itself is on a primarily residential street. ** Because our #1 goal is to raise money for the cause through the charity auction, we kindly ask that you please do NOT bring items to the event to get signed by special guests – as doing so would essentially be countering our fundraising efforts via the auction. Thank you in advance for your consideration! Please RSVP to the event on our Facebook event page, or email party[at]cancergetslost[dot]org. Special guests will be invited, but we cannot guarantee appearances ahead of time. However, they will be announced here as they are confirmed. We are thrilled to announce that actress Andrea Gabriel will be joining us! As you know, she played Nadia on LOST for 6 seasons. She also just filmed an arc on Gossip Girl and will be appearing in Twilight: Breaking Dawn – Part 2.